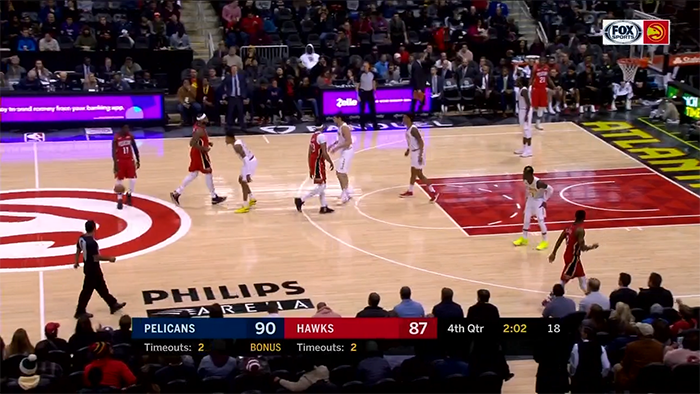 Watch some reasons for Dennis Schroder's poor defensive statistics, the Hawks run their own Hawk set, and what happens when the Hammer set breaks. The Nike Hoop Summit is a great scouting event. Prospects from all over the world, some entering that year’s draft, come to Portland, Oregon to compete with some of the best American high schoolers. Over a week-long period, the international team holds practices in the Portland Trail Blazers’ practice facility that are open to scouts, and then they battle the US team at the end of the week. I remember watching the international team practice for the first time in 2013, and the gym buzzing about a little German point guard who was wreaking havoc. He was quick yet poised, pushing the pace, slithering into gaps and showing off touch on a floater. But it was mostly his defensive prowess that had the scouts talking. 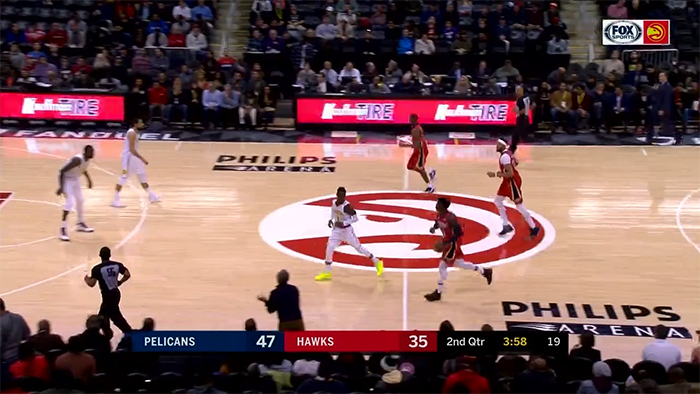 Dennis Schroder hounded the opposing point guards up and down the floor, smothering them with long arms and smooth swivels at every change of direction. In the German league, Schroder had not been an efficient offensive player, shooting only 43% from two point range with a low rate of fouls drawn. But that was less concerning, because his defensive potential was clear. Dennis Schroder currently ranks 95th out of 96 PGs on defense according to ESPN’s Real Plus/Minus. That’s not new. In 4 of his 5 seasons he’s been one of the worst defensive PGs in the league according to RPM. In only one of his five seasons thus far have the Hawks been better on defense when Schroder has been in the game than when he’s been out. And the differentials have been enormous. It’s not just that the Atlanta defense has been worse with Schroder in the game, it’s that it’s been far worse, and consistently so. Dennis Schroder’s on/off court defensive differential. See the full table on Cleaning the Glass Stats. Dennis Schroder’s on/off court opponent shooting percentage differential. See the full table on Cleaning the Glass Stats. Usually we think of opponent three point shooting as fluky, and only to be trusted over large samples. When that sample reaches 4 seasons, and the differences are this large each time, we can be pretty confident that something is going on. 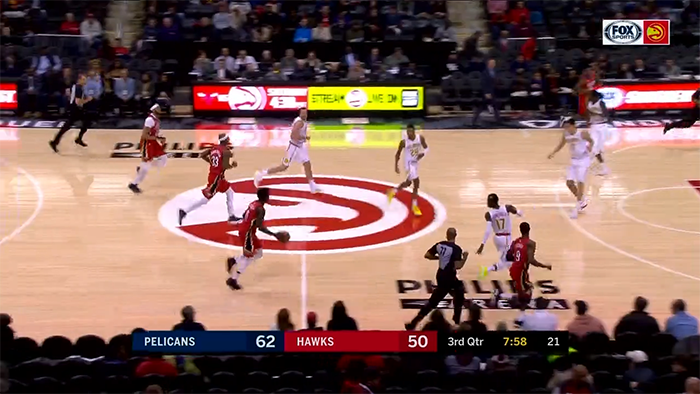 A few clips from the recent Hawks/Pelicans match-up can help us understand why we see these numbers. There are some players who just don’t have the tools to be the defenders they need to be. They lack the quickness, or the strength, or the length. 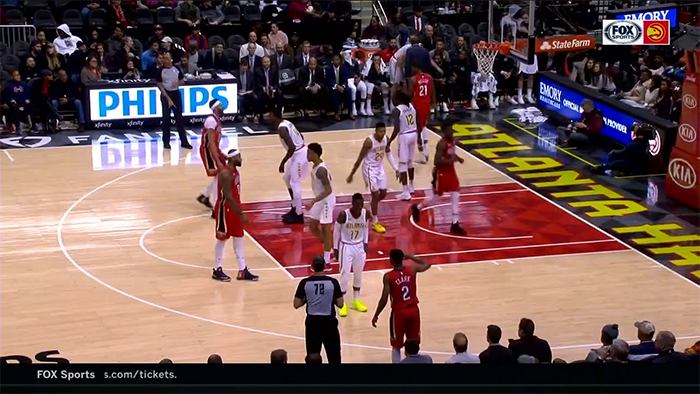 Schroder is not one of those players. Right now he just seems to lack the effort. 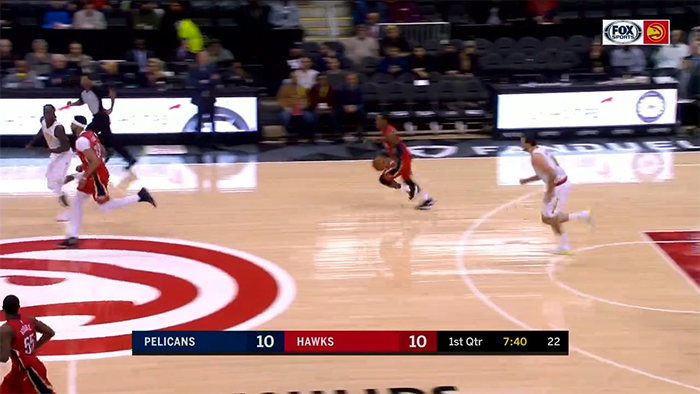 Schroder has the potential to be not just passable defensively, but great. That he’s not seems largely to be of his own choosing.